Displaying the fruits of its acquisition of Distiller last year, development software provider CircleCi has added support for the OS X Macintosh operating system and what it calls expanded “any-cloud” deployment, meaning its CircleCI Enterprise can run on-premises as well as in public clouds. Rose said the company had Distiller, which was focused on speeding up iOS mobile development, in beta for most of 2015. “Our continued investment in mobile [means] you can start to do some native code signing and [have the] ability to push that out to testers. The thing in iOS development is that the App Store is the antithesis of continuous delivery. You have to push something to the App Store and wait four or five days before you get an approval,” he said. 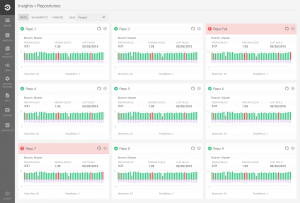 Meanwhile, CircleCI Enterprise, announced in December, pushes the power of build configuration, provisioning of build capacity, and parallelism settings directly to developers, freeing DevOps teams from manually managing complex configurations like plugins and server capacity. 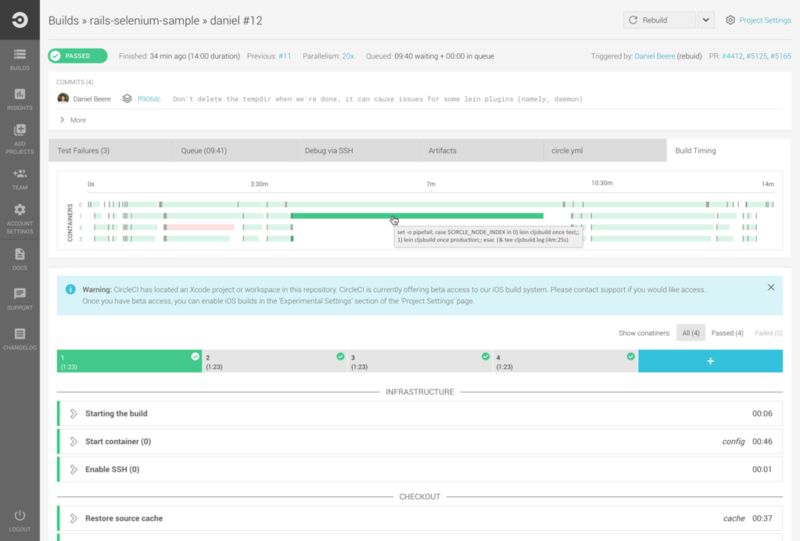 It allows teams to build, test, and deploy on any private cloud or data center, including support for AWS, Google Cloud Engine, Microsoft Azure, and VMware. What an engineer might see on his or her home dashboard to see what tests pass or fail. “We see everyone’s builds bending more and more toward complexity, so what we need to be able to do as a platform and as a service is to provide folks as much transparency into their builds as possible. Mobile is certainly a piece of that. You no longer have just mobile apps; you have artificial intelligence applications as well as websites and mobile apps. So we want to build out our platform to support our customers as their platforms grow up,” he said. “Circle really started out four years ago helping what I’d call ‘cool kid’ startups build single-page web apps that were hosted in GitHub, built on CircleCI and pushed through Heroku. But as our customers get bigger and bigger, the things they build on our platform and the scope of the stacks they’re building continue to expand at a pretty dramatic rate. “We need to stay in front of that by building out the platform to support that, but also by giving developers tools so they can see into that pipeline, which is really hard. There are tools like Jenkins where you have multiple Masters running at any given time for different parts of the stack or your have a service that’s only building iOS or only building Android – it doesn’t build the back end. It doesn’t give the development team a view into all the bits and pieces,” he said. 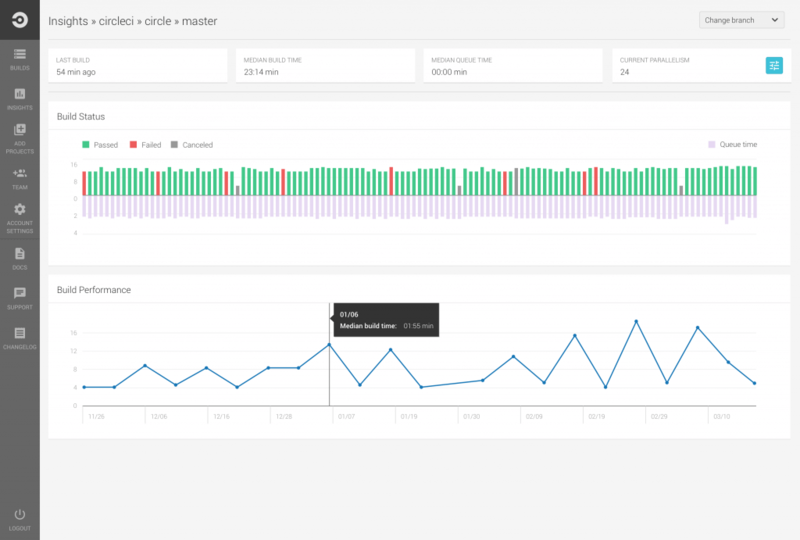 CircleCI Insights allows you to see build history over time. As these builds become more complex, the company also saw an increased interest in moving that behind the firewall, whether for security reasons or because a custom build needs to run in its own particular environment. CircleCI integrates with GitHub or GitHub Enterprise and supports languages including Java, Ruby/Rails, Python, Node.js, PHP, Haskell, and Scala. It supports a range of customers including Manheim, Shopify, Cisco, Sony and Trunk Club. It added support for support for Docker containers in December 2014. The continuous integration/continuous delivery space is becoming ever more crowded with competition from the likes CloudBees, Codeship, Drone.io, Semaphore, Travis CI, Shippable as well as HP and other big-name vendors. Referring to most as “a mess of small point solutions” that companies have to cobble together, Rose sees his biggest competitors as Jenkins and Travis CI, both of which already support OS X.
CircleCI’s differentiator, he says, it that it pushes power to developers to manage build resources and dependencies through the code itself rather than relying on the configuration by sysadmins, as they would using Jenkins, and without having to know the latest open source tools, as they would with Travis.